Anna Goldman explains why, as a child, the way to her heart was through her stomach. Jess Jones visits Geno’s Steaks in her beloved home town of Philadelphia to figure out what makes a genuine Philly cheese steak beat out all the imitators. In a piece that Ira Glass once described as part musical theater, Gabriel Wildau muses on “the Ratty,” Brown’s dining hall, and their industrial sized vats of pasta sauce. Robin Amer recreates a passage from Truman Capote’s short story, A Christmas Memory. Read by Seth Pipkin. Hosted by Molly Messick with Executive Producer Robin Amer. Contributors include Rebecca Birnbaum, Louisa Lombard, Megan Hall, Selena Juneau-Vogel, Jess Jones, and Paul McCarthy. Oversight by Beth Taylor. 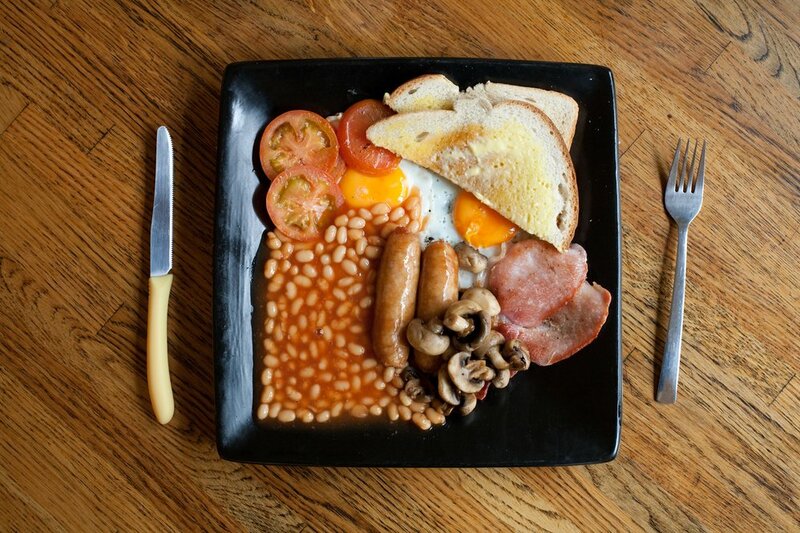 Photo of a traditional English breakfast from Pictory Magazine.